AC2000 Threat Levels is a management software module that allows building security to be completely reconfigured at the click of a button. It enables security to react instantly and adjust security levels in response to a perceived threat, or during times of limited occupancy, such as holiday or site shutdown periods. 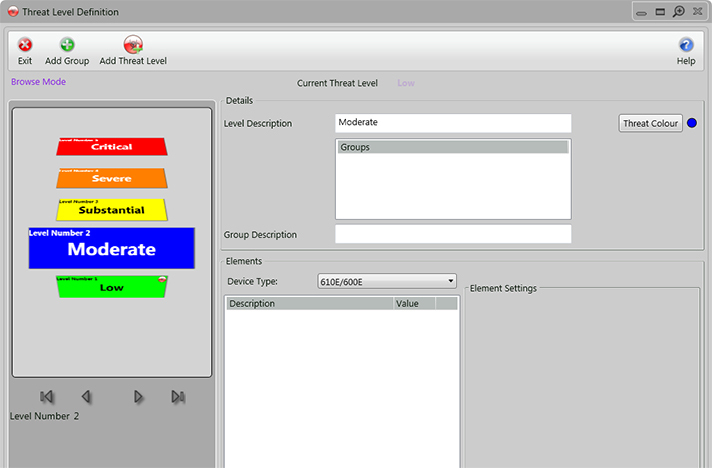 An unlimited number of threat levels are configurable, each of which can be given its own name and colour code and customised to provide a different level of security.